If you’re planning to start an online directory, there are a whole bunch of decisions you need to make. What is the directory for? How do you plan to market it? Will it be a paid or free service? But before getting to all these questions, you’ll need to pick a platform. And odds are it will be WordPress. WordPress is the most commonly used platform for directories and one of the most effective too. But even if you’ve narrowed down to WordPress, you’ll need to pick the right theme. 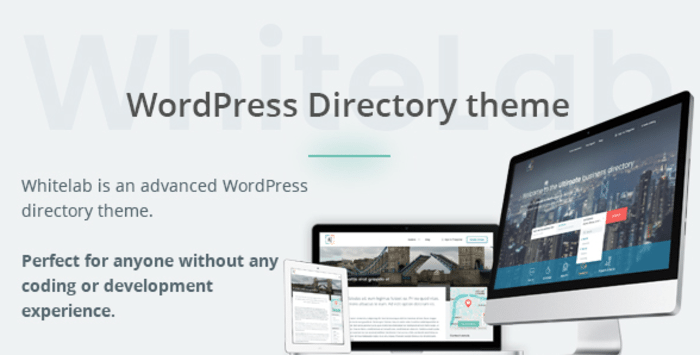 Irrespective of whether you wish to list local jobs, services, restaurants, events, classifieds, etc., you’ll find a plethora of excellent themes WordPress offers. What are some of the factors you need to examine before choosing a theme? How customisable is the theme? Does it allow Google maps integration? 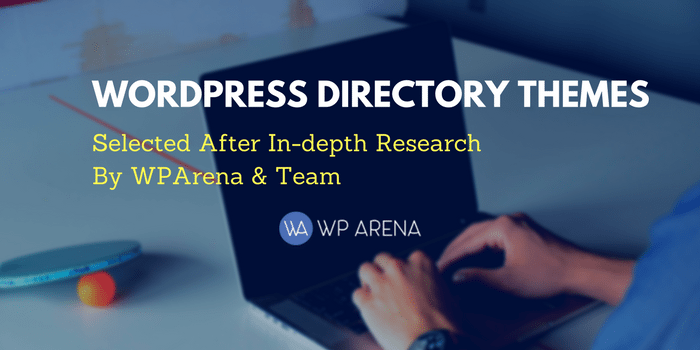 After a ton of research, I’ve picked my favorite WordPress Directory themes that are perfect for online directories. Let’s look at them one by one. Its walkthrough guide is super easy to understand, loads quickly and allows you to view and analyze the theme before loading content. It allows you to build custom layouts with its unique modular content blocks that you can drag and drop anywhere in the page including sidebars. Its front end submission forms are very easy to operate and allow users to make submissions effortlessly. Most importantly, it also has a responsive design that makes it equally efficient on mobile phones. While creating a blog, whether you want free, paid or a combination of both; Listable offers plenty of options to suit your needs. If you wish to add multiple pricing plans, it also generates a pricing table to allow your users to compare and choose the best option. It offers customizable category options which give you the opportunity to categorize and design your website beautifully. It allows listings to be made through both, the front end as well as the back end forms. The best part is that all its additional features are made available as plugins. So you can install only the features you need without making your site unnecessarily heavy. It supports PayPal right out of the box and also allows you to add multiple payment gateways. It has the option of recurrent payments which means your payment system can be set on autopilot. Besides regular listings, it also allows specific listings based on particular events, festivals, etc. It has a unique feature that allows you to make listings claimable wherein the companies listed can directly claim their fees. It also has child themes available for those catering to a similar target audience. The front end and the back end are both designed beautifully. The pages load and transition seamlessly, and the well-designed admin panel with the drag and drop homepage option makes setting it up super easy too. The monetization options are pretty advanced as well. Besides the regular, you can also charge additional costs for optional upgrades. This theme offers great categorization with many sections and categories that are extremely easy to search. It also allows you to track the IP address of your user to offer him a localized, relevant feed of listings. It offers many monetization options such as pay per listing, subscription packages, category based payment, etc. It also integrates PayPal or any other payment gateway easily, offering you plenty of options to earn from your site. It gives you the option to run full-width videos on your homepage. It offers support for rich snippets which immensely helps in improving page rankings and click-through rates by your users. It offers many integration options such as Open Table, Resurva, Guestful, WooCommerce Bookings, etc. that allows users to make bookings through your directory directly. It also has every payment option you can think of such as adverts, viewing listings, claiming listings, adding listings, etc. It smoothly integrates with most of the directory plugins out there further allowing you to improve your features. If you don’t like its pre-set yellow color, YellowPages gives you the option to customise its colors very easily. 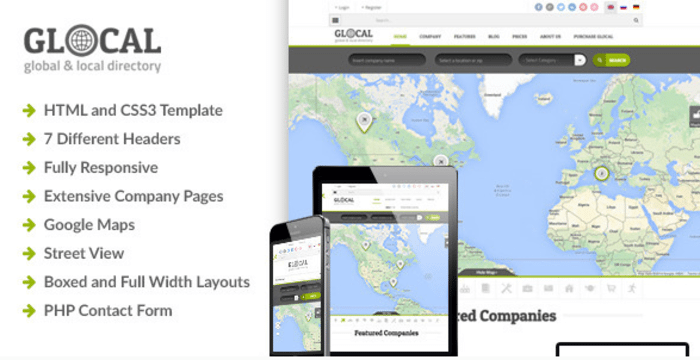 Being a global directory theme, it comes with pre-loaded 200 countries and integrated with Google Maps. If you wish to use this along with the Directory theme, it also comes in a package. So there’s no need to spend on two themes separately. It is one of the best themes available today to host a powerful business listing website. If you wish to set up a fully functioning theme in ten minutes, this is your answer. Business Directory allows you to set up the entire installation process in five easy steps. It is also a highly customizable theme with many background patterns and theme options. 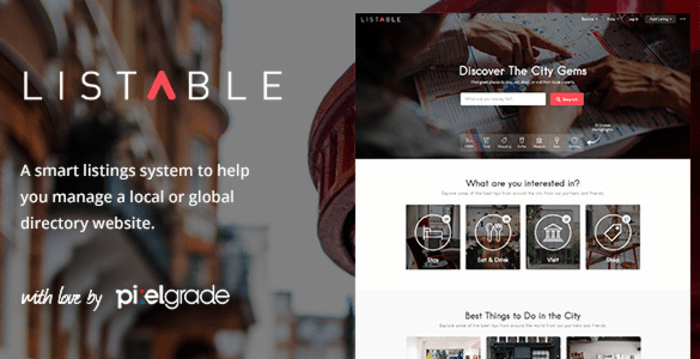 It allows templates for blogs and gives you the option to have a full-width display without sidebars. It has excellent monetization options and allows you to directly accept payments through PayPal, credit cards or even cash payments! 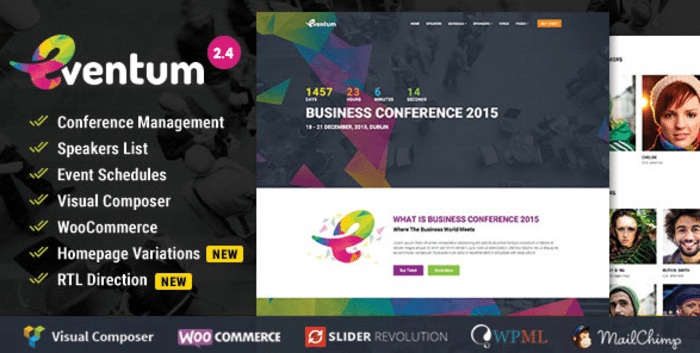 It comes with a whole bundle of features that makes theme customization super easy. It allows each listing to have its custom marker so that your visitors can have a glance at the areas of their interest before having to open a page. The integrated Google Map feature makes it viable for users to look for only the listing that is useful to them regarding location. It has a mobile responsive design with a full-width layout that gives maximum screen coverage. It also has an excellent monetization structure in place. To start with, the developers of this theme have built a few in-depth video tutorials to help you get started. In case you need further assistance, they also give you a free installation service. Its pre-installed ‘visual composer plugin’ gives you a drag and drop page builder that enables you to add many visual elements to your page with ease. Its front end form submissions are easy to use, and it’s 100% responsive layout sure makes it a winner. Each listing on this theme is built to very high standards. You may upload full-width images, photo galleries, information, customer reviews and even panoramic 3D images to each listing. 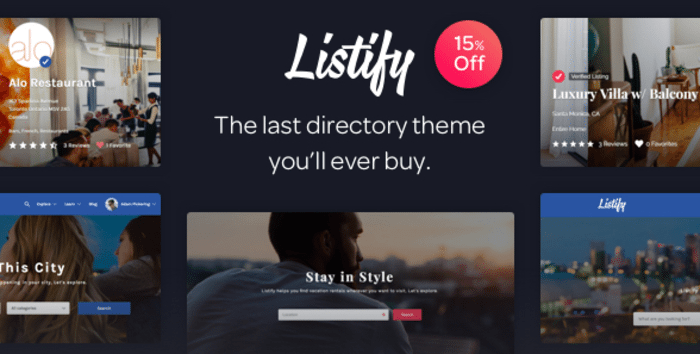 An interesting feature of this theme is its Uber integration that allows your users to directly book an Uber using your directory while helping you earn a commission over it. There is also an Airbnb integration available in this theme for your users to find suitable accommodations in their locality. You may divide your listing into different categories and sub-categories, thus allowing you to list a variety of subjects and at the same time keeping it highly accessible for your users. 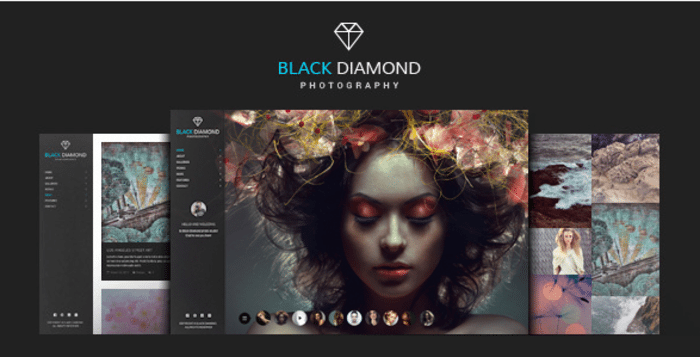 Diamond also integrates with WooCommerce shop builder plugin thus allowing businesses to push items for sale to interested users directly. Besides an entirely responsive design, it also has multiple homepage templates, a parallax slider, etc. making it a great catch. Due to its PayPal and Stripe integration, your users can directly pay from your website, thus making it hassle free. It has great monetization options for you to charge subscription fees for your services. The highlight, however, is that it allows you to manage, book and organize time slots for the services thus making it an all-encompassing platform. Its clean, functional design lets you display lots of visual content that appeals greatly to travel agencies. 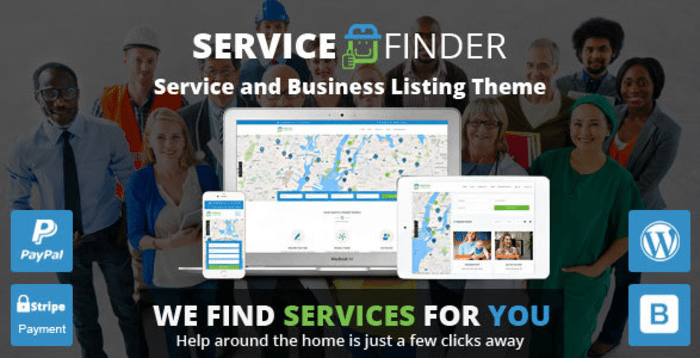 It has many content management features that allow you to list different kinds of listings within your city making it a one-stop shop for people looking to explore cities. Alongside these unique features, it packs all the regular features such as responsive design, front-end submission forms, payment getaway integration, post content sliders, etc. It comes with a built-in color picker giving you a choice to pick your colors. It also allows you to use icons thus making your searches more identifiable. Its navigation system allows your users to look for content effortlessly. Your users can also look for the listings in the Google maps homepage using the category drop-down filters. It allows you to receive payments through PayPal and also helps you automate recurrent payments such as weekly, monthly or yearly subscriptions. 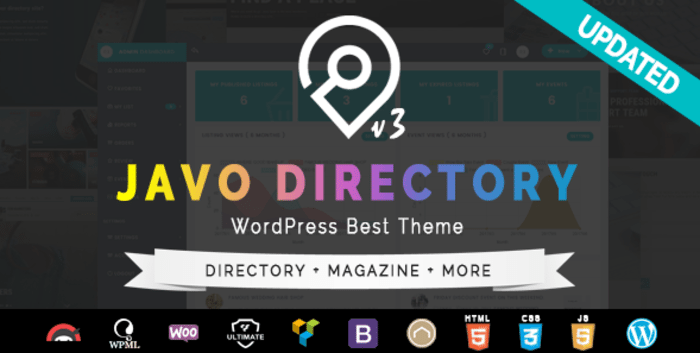 It has all the features of the Directories theme and some additional features as well. 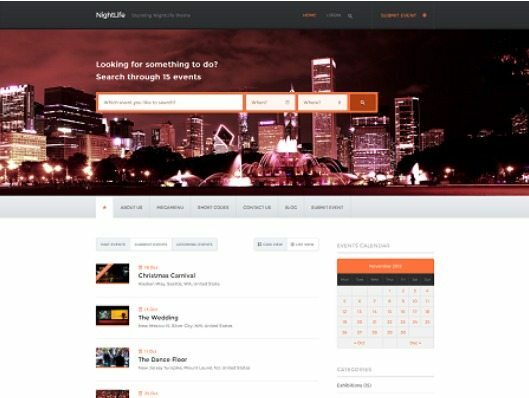 For example, your users can share details of their upcoming events through this theme. Your Eventum powered Directory website allows each user to have a profile of his own thus making his events more discoverable. You’ll also find that its monetization options are great thus offering you many ways to generate income from your directory. But the best feature remains to be the ability to track recurrent events, track and share event attendees and archive past events for references. All professional services such as service agencies, real estate builders, hotels, etc. can list their services on WhiteLab. Its integrated payment system helps you set up occasional as well as recurrent payment systems using Authorize.net and PayPal. And here’s something interesting, its intuitive page builder makes all the changes you implement real time! Additionally, its control panel is very basic and simple to use. So you don’t need to be an engineer to set up your directory. The entire theme is responsive and works equally well on all devices such as mobiles, tablets, desktop PC, etc. It’s ‘Easy Install’ feature makes sure that anyone can make a professional looking directory without being a computer genius. It also allows you to import a functional site demo with sample content for you to get an idea before installing. It offers you List View, Grid View, and Map View; all of them being awesome! This theme allows you as well as your users to submit themes. Its responsive layout makes it an attractive sight on all screens sizes. This theme also allows you to use multiple languages, enables translation and is extremely SEO friendly. So that you don’t lose out on opportunities to improve your search rankings. And here the best part, it comes with a simple filter allowing you to sort events based on location, time and date! Now all you have to do is analyze your own needs, check out a few demos and pick what’s best suited for you!